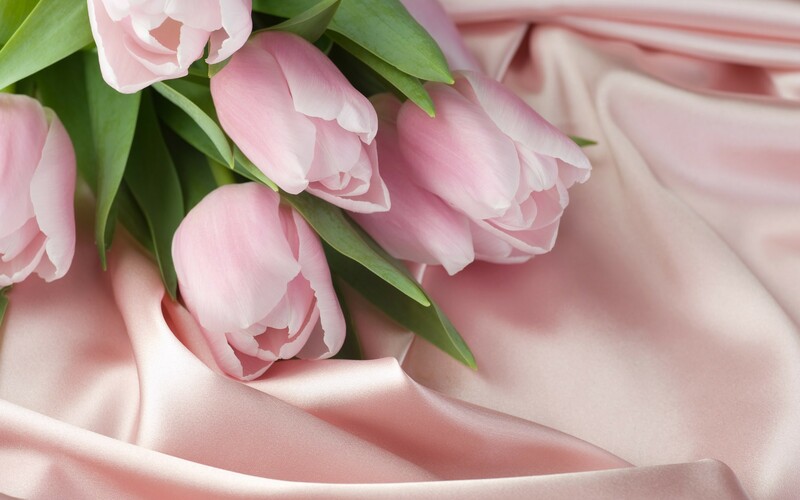 RoseWishes | A blog on all things beautiful. A blog on all things beautiful. People should get more active! In this era, people are definitely still too shy and reluctant in helping push themselves to their full potential. I’m sure there are plenty of people who sit at their newly-cleaned desk with a mountain of enthusiasm and motivation thinking that they are indeed going to organise every aspect of their life! Let’s be realistic, not even someone with superpowers has the capabilities of something that resembles a miracle! Instead, you should think of the skills that you have and exploit that skill to the maximum potential. If you are good at something, you should show it. Don’t hide it- no-one is going to spend their time discovering the skill of every person that they come across in their life! Do something different, don’t be predictable and boring. Gain a new experience! P.S I know for some this is going to seem awfully patronising but I truly believe that some people need to get off their bottoms and experience something different. Lately I’ve been thinking, perhaps something to just distract me from the thought of all my coursework piling up…After all, procrastination is key in discovering your own personal answer to a long-asked question. Now, I’m sure that all females are wondering: Is chivalry dead? Once upon a time, girls were treated like princesses- men would open doors for ladies, pull out their chair and help them put on their coat. Even offering their seats for females all around! Nowadays, cases of men barging in front of women can be seen in the busy streets and rushing ahead of them to get that last seat on the train before anybody else does! Has chivalry become less common because of the fast-paced society that we all live in now. After all, people say time is money. I have noticed that during rush hour in the bustling city of London that no-one has any recollection of their manners or even possessing them in the first place! People elbowing each other in the crowds, rushing to get onto trains and not holding doors open for the next person behind you, not an apology in sight. What has the world become? Living in a busy society does not mean that it allows people alike to become pre-historic savages! Does a fast-paced society permit laziness?! No. So, remember to mind your manners next time you leave your house! Sometimes, men may not be chivalrous because chivalry can act as a social barrier. All social barriers being awkward anyway, so they may just be doing the instinctive thing and be trying to avoid any ‘unnecessary fuss’. After all, fighting with the waiter over your chair can be a pain in the ****. Another answer to this question, is perhaps one that many males have thought of. Feminism is fast becoming more popular amongst many females! This leads them to feel strongly about the fact that they can do things just the same as men, that they do not need men to open doors for them, pull out their chairs and to help them put on their coats. Many females alike feel that this is the way of men perhaps showing their superiority over females. The males expecting you to accept the gesture, to smile sweetly and say the word: thank-you. Instead you choose to condemn his actions by awarding him with a distasteful emotion. Perhaps feminism has caused some females to over-analyse some of the actions of these men. For me, chivalry is not a way for men to supplant their superiority and righteousness over you, it could just be a kind-hearted gesture making sure that you are treated like the lady you are at heart! So next time, you see an act of chivalry, do not condemn it. In fact, it’s such a rare event in this period of time that it should be commended for! Manners from both sides- whether it be a little or a lot- both go a LONG WAY! Now I’m sure you’ve all gathered that I just love LUSH and The Body Shop, so what I thought would be a good idea is to compare both of their two best-selling lip products! 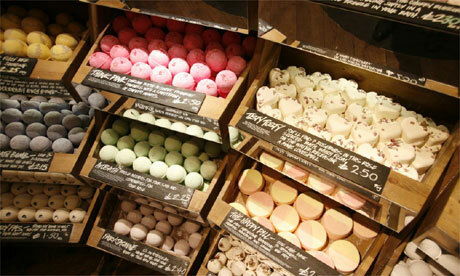 For LUSH that would be the: Lip Scrub collection and for The Body Shop it would be the: Born lippy – lip balm collection. Next! 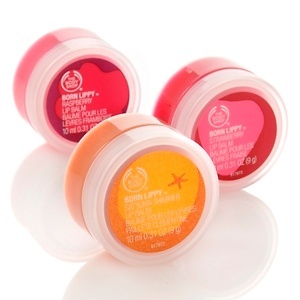 The Body Shop – Born lippy lip balm collection are amazing! Like any other Body Shop products they smell fantastic! Also, with the wide range of ‘tastes’ within the lip balm collection, it allows you to find the one that matches you! There are 6 in all. It’s fantastically small and don’t be deceived by the small looking pot (even if the image makes it look enormous), the lip balm itself lasts for an extremely long time. It is good for a day to day use, working as a good substitute instead of lip gloss. My personal favourite is the raspberry lip balm, adding a pink tint and a glossy finish, perfection. It only costs £2, so there is going to be no guilty feeling affecting your conscience at all! And! With the great 3 for 2 offer in stores at the moment, it means you can save even more! Overall, I would say both products are great at what they have to do- protecting and caring for YOUR lips… but at the end of the day I would say the Body Shop product is something that you could get more out of. Although! The Lush product does still have it’s unique point of being able to get rid of the flakiness of the skin on your lips. So both are worth a try! Keep caring for those lips! Recently I was given a vast list by my college to read, I was unfamiliar with all the books that were included on the list with the exception of some Michael Morpurgo books. With the advice of my friend on which book to choose to read during the summer, I settled on the book: Birdsong by Sebastian Faulks. I was expecting the typical Literature story told through two parts- the first part being pre-war and then the second part being told through the person’s experience of the war. However! This piece of Literature pleasantly surprised me! 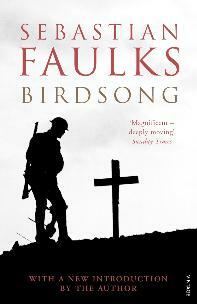 Birdsong had a unique way of telling the story of Stephen Wraysford, a man who has an affair with his French host during his time in the textile industry; then a grand soldier in the Great War; then an experienced trying to find the feelings that he had held for his one true love. It was not told in the typical structure either! With this book you most certainly went through the different periods of time in a VERY unique way. Just be sure when you are reading it that you aren’t going to be easily distracted because at first the way that Sebastian Faulks tells the story, it certainly takes some getting used to. This is a great book for those who appreciate fantastic pieces of literature! And! To be honest, I’ve never been an avid reader of literature but this book certainly enhanced my interest for it! Well- I don’t want to give of the impression to you readers that I am a soap-obsessed person… but I was thinking- and suddenly realised that I had not shared a wondrous soap with you all! Normally, I am a frequent LUSH shop customer- However, one day my mum bought home a soap on a rope from the French shop L’occtaine: en provence. Yes, it is indeed literally a soap on a rope. 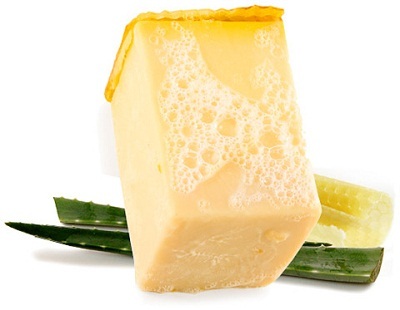 The soap is made up of two key herbs: Rosemary and Verbena. Rosemary is a key ingredient in purifying and relaxing your muscles. Whereas, the herb Verbena is a key ingredient for softening and toning. With the combination of these two, the soap delivers some amazing results. The citrussy scent of the soap helps your body to slowly wake up in the shower in the mornings or for you to slowly unwind in the evenings. Also, with the soap being attached to a rope it means it will be easy for you to hang it up somewhere on your bathroom wall/shelf without the soap collecting up germs from the old water in a typical soap dish or from bathroom surfaces! 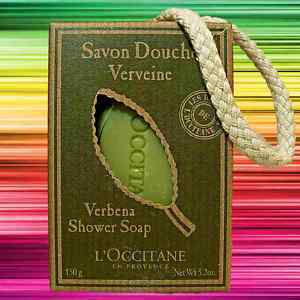 This soap can be found in L’occtaine stores around the world. The price may be more expensive than the average soap but it really does last for a long time, so it’s worth the money. And! Don’t worry about the rope coming away from the soap even when the soap has shrunken to it’s tiniest size, the rope will only come away if you tug unnecessarily hard at it. The joys of Christmas shopping! I recently just headed to Lakeside shopping centre to begin some of my last-minute Christmas shopping! I headed into The Body Shop. It’s a shop that is well-known for the natural products that it provides for the lucky public. The body butters are great products, leaving your skin smooth like never before and smelling like it’s good enough to eat. 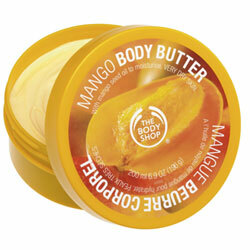 One of my favourite body butters being the Mango body butter and only at £12.50. Anyway, back to the topic of Christmas shopping. At the moment, The Body Shop are doing some great deals to encourage you lot to fill those stockings or to just allow you guys to find some great bits and bobs to add to the presents of your loved ones! There are 3 for 2 prices on: lip butters, lip balms, body scrub and body butters. Allowing you to shop, shop, shop! And to save, save, save! Not only are there these great little beauties, there are also products decorated to the festivity of Christmas, some look great enough to decorate your tree with! So get shopping and try something new today! Recently my friend had a birthday meal and took us all out to try Las Iguanas, a restaurant that serves plates on plates of the most amazing tasting food. They serve food such as the fajitas (It was thanks to Las Iguanas that I learnt how to pronounce that word), to wonderful prawn dishes and also food with spice for people who like a kick when eating. Not only do they serve these Latin-based dishes, for those who aren’t as adventurous they serve mouth-watering burgers and steak dishes. All this is served at a reasonable price, so you can freely enjoy the meal without thinking of the figures that are going to be printed on your bill. For those who don’t have a Las Iguanas near them, if you live near London you’re in luck! 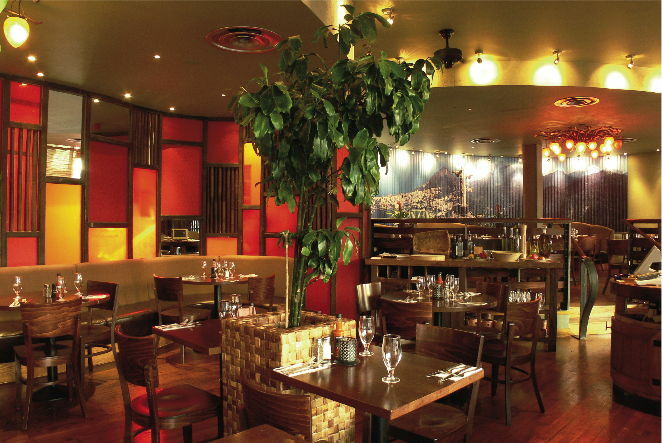 A Las Iguanas can be found by the London Royal Festival Hall, which is on the South Bank. Another place in which it can be found is the London- Stratford, in the newly opened shopping centre, giving you a great view whilst you eat. 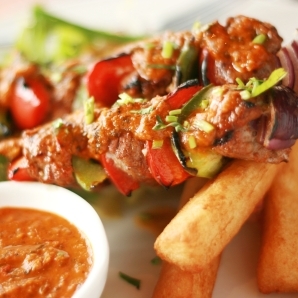 Get going and try some Latin food! Let me know of what you think! Well- I’m sure you’re all aware that Christmas is fast approaching! It’s time to get in the mood for Christmas. For a unique experience that is also culturally enlightening, you should head into the heart of London, The South Bank. The Frost Fair at its best! 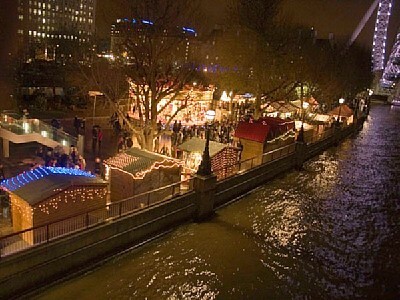 Every year at The South Bank, ‘The Frost Fair’ takes place from the 12th December to the 21st of December. This is a German style Christmas market, for those who have had the luck of experiencing Christmas in Germany, I’m sure you already know of the fun to be had at these markets! The 40 wooden ‘chalets’ are all decorated with twinkling lights to create an ambience so cosy by the side of the Thames, even if the British weather is not at its ‘warmest’. 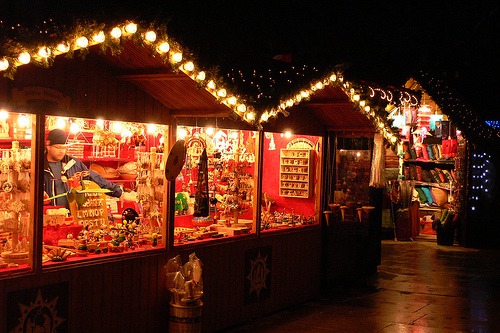 The ‘chalets’ have people selling a wide variety of things: from the typical confectionery commodities to be had, such as: fudge and cakes, to more European offers such as crêpes and to wonderful hand-made arts and crafts items to adorn your home with. ‘The Frost Fair’ is most definitely a place for everyone to visit and experience once in their life, it truly shows how London appreciates the diverse culture all year round! It’s a good place to take your family, friends and loved ones; as the city view itself in this festivity is truly magical on it’s own! My version of heaven- LUSH. I thought that I should share one of my favourite places in the world, for those who haven’t discovered it already! LUSH. A shop that sells the most amazing fresh hand-made cosmetics. They sell a wide variety from: the good old reliable soaps for bath time, to luxurious bath melts to portable stick perfumes! There’s something for everyone. Now I shall enlighten you all with one of their most popular products! The soap: ‘Honey I washed the kids’ at £3.25 per 100g. Okay, I understand the name of the soap might not have you dropping everything you are doing to run to LUSH to go and get the soap but the name makes the soap seem modest in how AMAZING it is! It smells just like honey, which I’m sure you have managed to guess from the name. Although, please do not try tasting it… at the end of the day- it is still a soap. Not only does it leave you squeaky clean and moisturised but it also exfoliates your skin. Perfect for the harsh winter days… Well let’s be honest- perfect for the 365 days in a year. With it’s purse-friendly price, there is nothing that could be stopping you from getting this luxurious soap, treat yourself! It’s nearly christmas after all! I always find that it’s never too late to begin something new. I have always been drawn to beginning a blog but well, I never really found the motivation or courage to begin one until today. So, please feel free to give me advice or give me your opinion on any of my blogs. Be warned… some of my posts are going to be random and impulsive on what I find to be interesting well that would be the majority. I’m going to mainly suggest things for you to take a look at and experience, seeing as I am a 16-year-old girl from London… some of you will be thinking: NEVER, EVER WILL I TRY THAT. However, some of the posts may be different from the items that you might be stereo-typically assuming that I shall be blogging about, so give it a chance and you never know! However, I do understand that every individual blog is similar to that of an individual jar of Marmite: you either love it or hate it.